The 12th edition of Aero India 2019, to be held at Air Force Station at Yelahanka in Bengaluru schedule from 20th February 2019 to 24th February 2019. The Aero India 2019 aims to provide a significant platform in bolstering business opportunities in the International aviation sector. 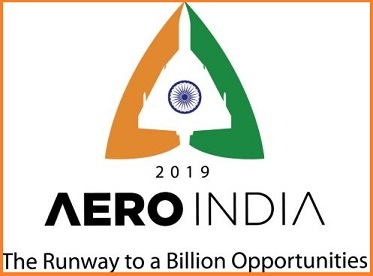 The Aero India 2019 has a tagline “The Runway to a Billion Opportunities” and has a logo inspired by the Tejas Light Combat Aircraft (LCA). A Photography contest would be held on the theme ‘Flying Objects’.